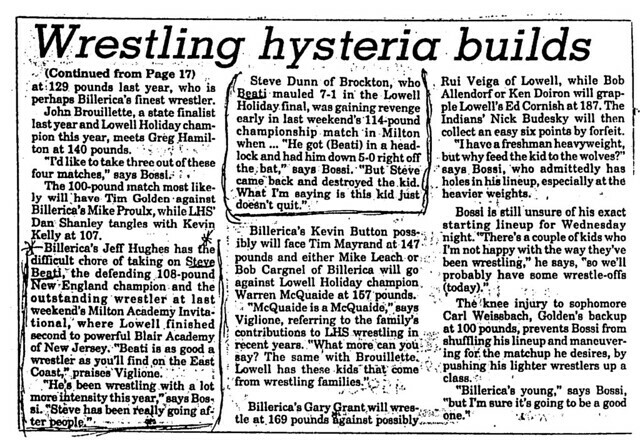 Another of the outstanding proteges of legendary Lowell High School wrestling coach George Bossi, Stephen Beati established himself as one of the most dominant grapplers in the long and storied history of the Red and Gray wrestling program. 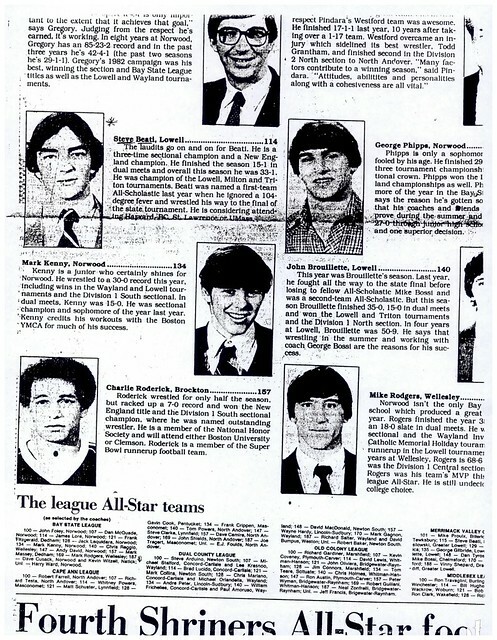 As a sophomore (1979-1980) Steve was runner-up in the prestigious Lowell Holiday Tournament. After winning the Division I Sectional Tournament, Steve worked his way through a difficult draw in the 100-lb. weight class to become Lowell High School’s first sophomore State Champion. Steve culminated his season with a 2nd place at the New England Championships. 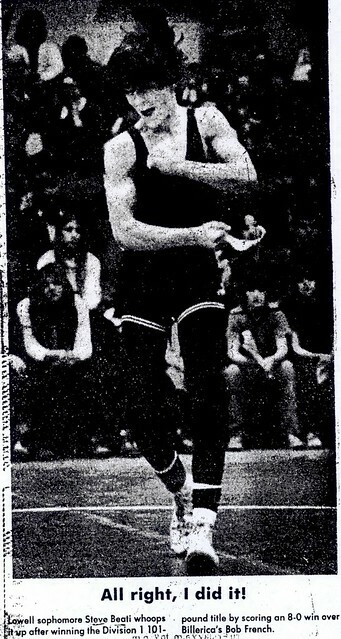 During his junior season (1980-1981) Steve was crowned 107-lb. Champion at the Lowell Holiday Tournament. 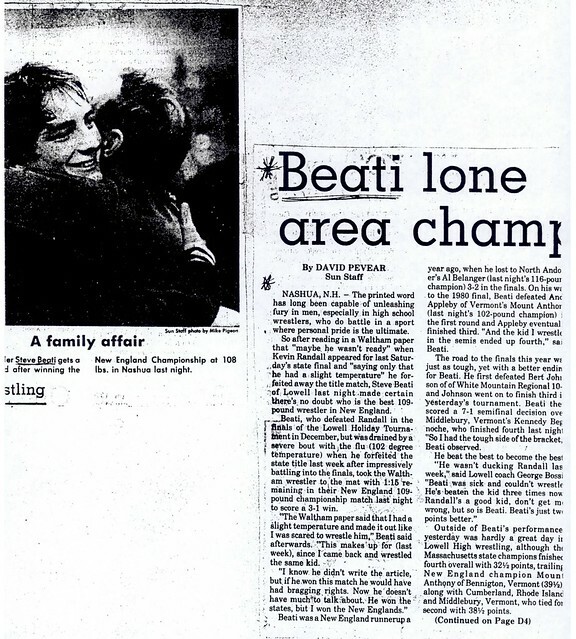 Later in the season Steve repeated as Division I sectional Champion. 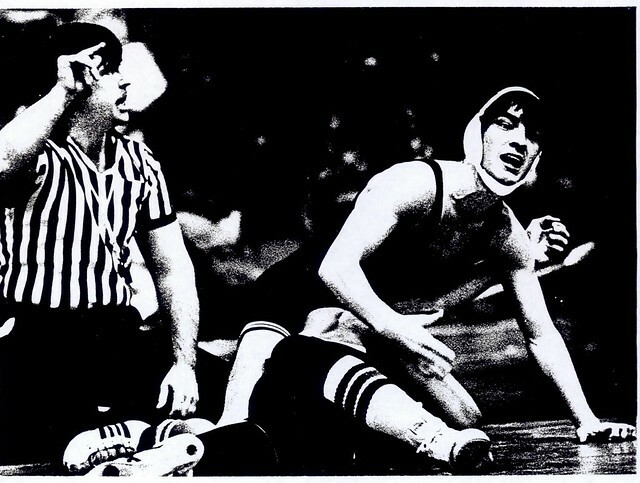 At the State Championships Steve was forced to default in the finals due to a severe bout with the flu. 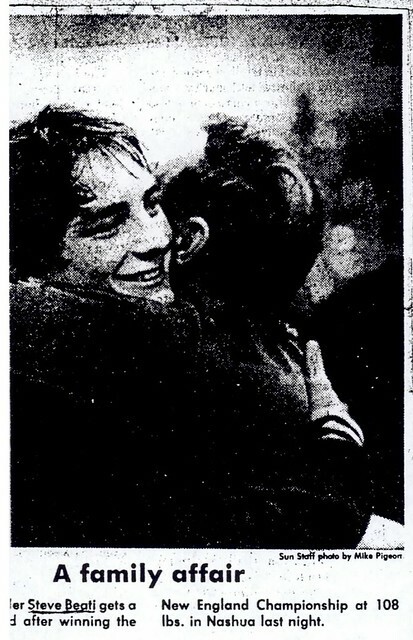 The next week Steve gained a measure of revenge, defeating the state champion on his way to winning the New England Championship at 107 lbs. Steve earned Boston Globe All-Scholastic honors after this outstanding season. 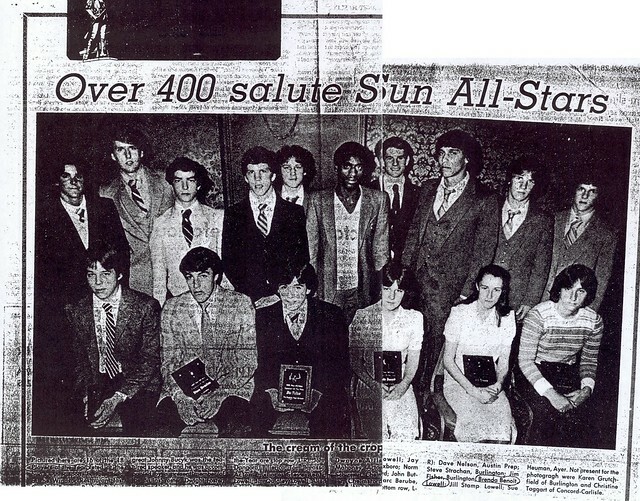 AS a senior (1981-1982) Steve culminated his high school career in excellent fashion. After winning his 2nd consecutive Lowell Holiday Tournament title and his 3rd straight Divisional I Sectional Championship (Outstanding Wrestler-115 lbs), Steve won the “unofficial” Massachusetts State Tournament 115-lb. Championship. 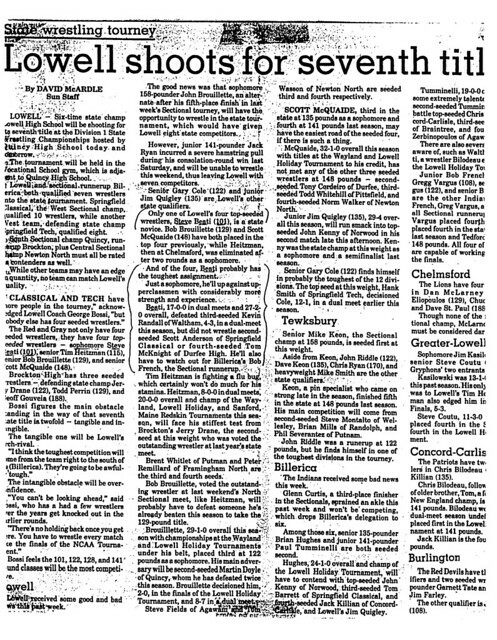 Only the unofficial status of the State Tournament and the absence of a New England that year due to Proposition 21/2 prevented Steve from further accomplishments. 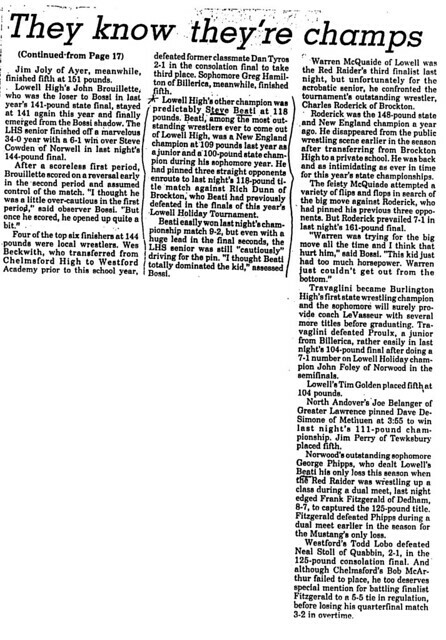 Still, Steve (the 1981-1982 Lowell High Team Captain) was again chosen as a Boston Globe All-Scholastic, as well as Lowell Sun Wrestler-of-the-Year. His overall record for the season was an incredible 33-1. 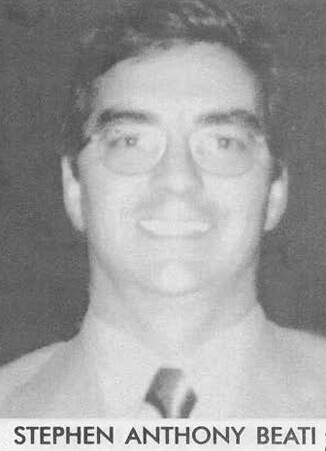 A true student-athlete, Steve was a 2-year member of the National Honor society at Lowell High School. 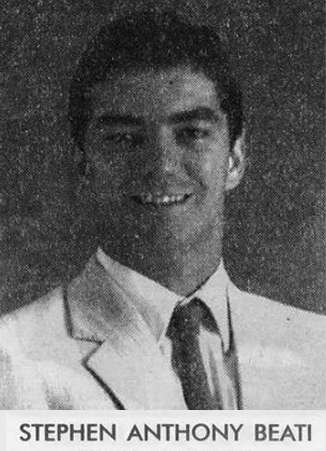 After graduation he enrolled at Harvard University, where he continued his wrestling career until his graduation in 1987.